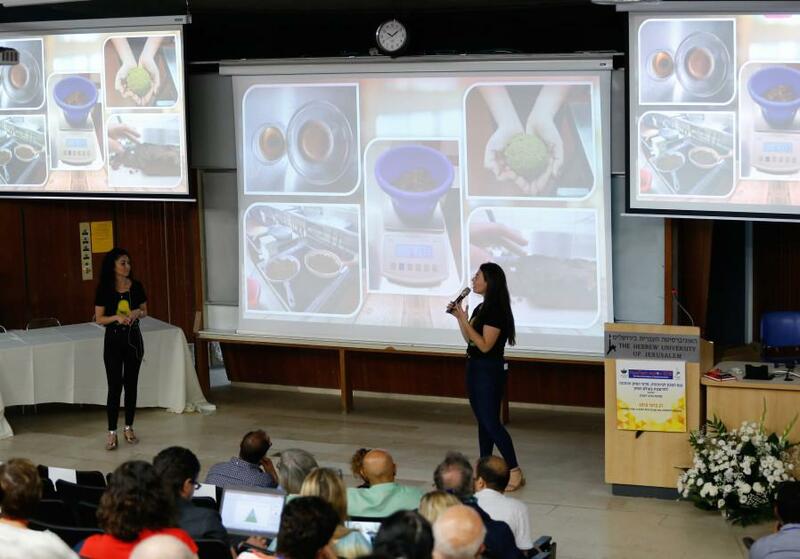 The future of healthy eating drew crowds Thursday at the Robert H. Smith Faculty of Agriculture at Hebrew University in Rehovot. Celebrating the institution’s 75th anniversary and giving students the opportunity to showcase their work, about 300 people came to the event featuring some of the latest developments in Israeli food technology from 3D printing meals to protein powder from fly larva. In the class, students focus on topics including why new products are developed, the raw materials necessary for creating a new product and current trends in the food industry. When they create their product, they have a deadline and limited resources, just like in the real world. One group of students made a gluten-free health bar with dates using avocado powder. “Particularly because I could feel the slight bitterness, so that for me indicates a lot of polyphenols, which are known to be healthy,” he said. “They still need to work on the taste there, but that’s doable…the level that they reached so far with taking into consideration the relatively short period of time—they did a good job. For his part, Shoseyov aims to use cellulose to print veggie burgers. In the future, he said he believes he’ll be able to make steak on a bone and possibly foods that don’t exist, such as burgers with fries in the middle. This product may also have important practical uses. Another group of students producing ice cream and sherbets enriched with protein from fly larva. They said their ice cream has 10% protein and their sherbert has five percent. Froy said although Israel has the same the problems in the food technology industry as in other industries—“being small, not in a common market at least not with its neighbors,” European and American markets love these products and accept Israeli innovations “We’ve come to a conclusion that joining forces together entrepreneurs, investors, academia, food industry, new ideas that’s what makes us a start-up nation,” Froy said.